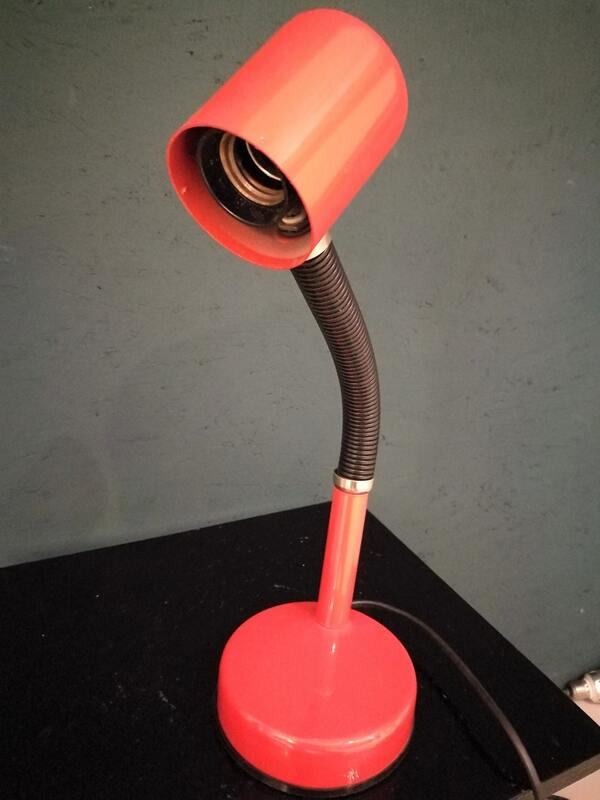 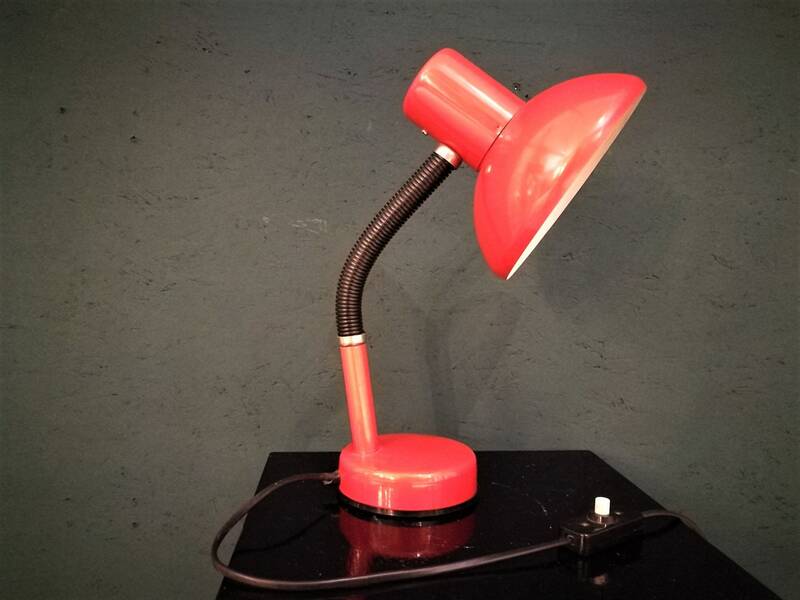 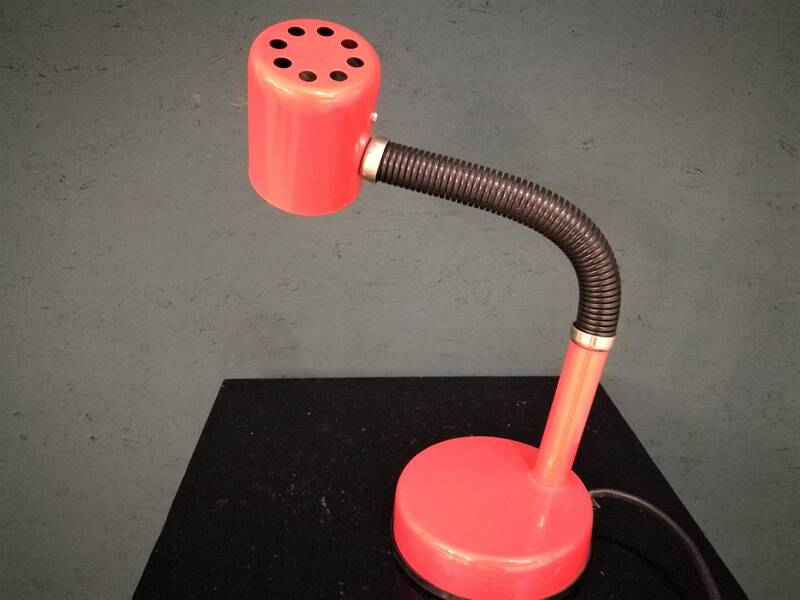 Very good looking orange desk lamp. 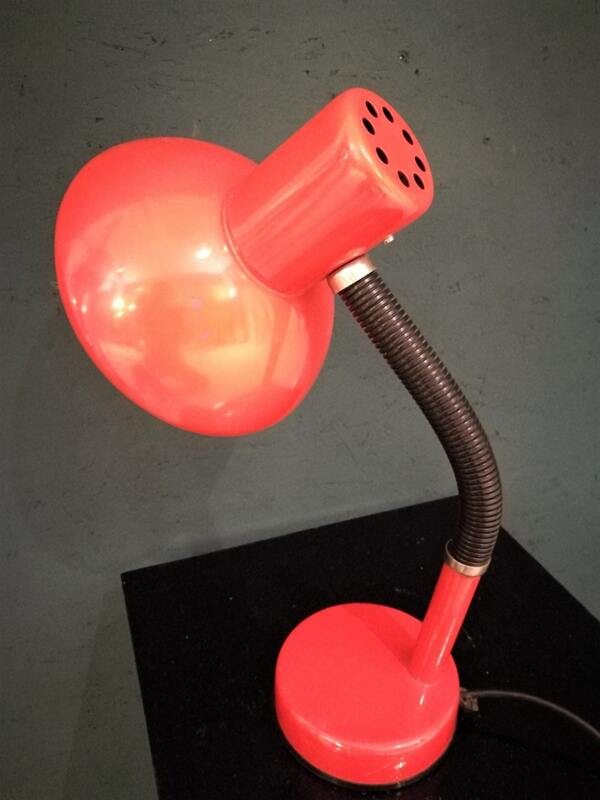 This one is a bit special, because of the removable shade (twist and pull system), so you have 2 lamps for the price of one. 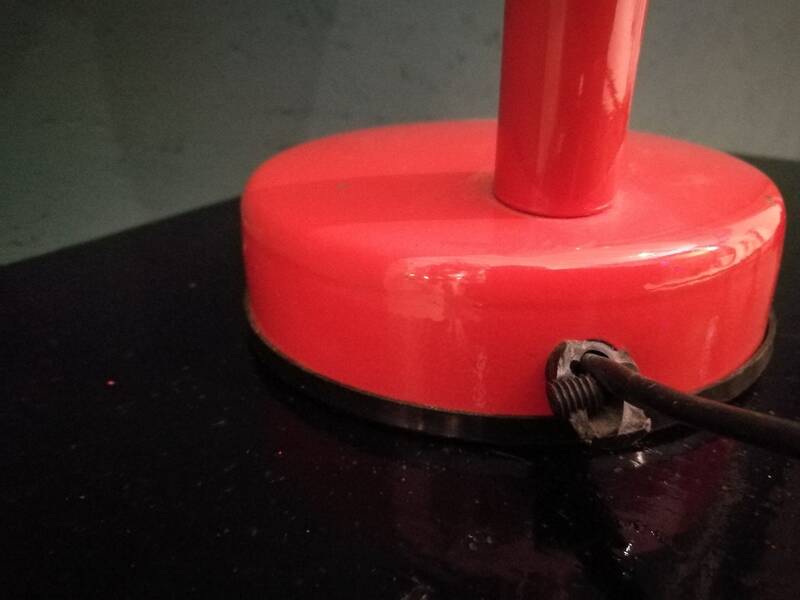 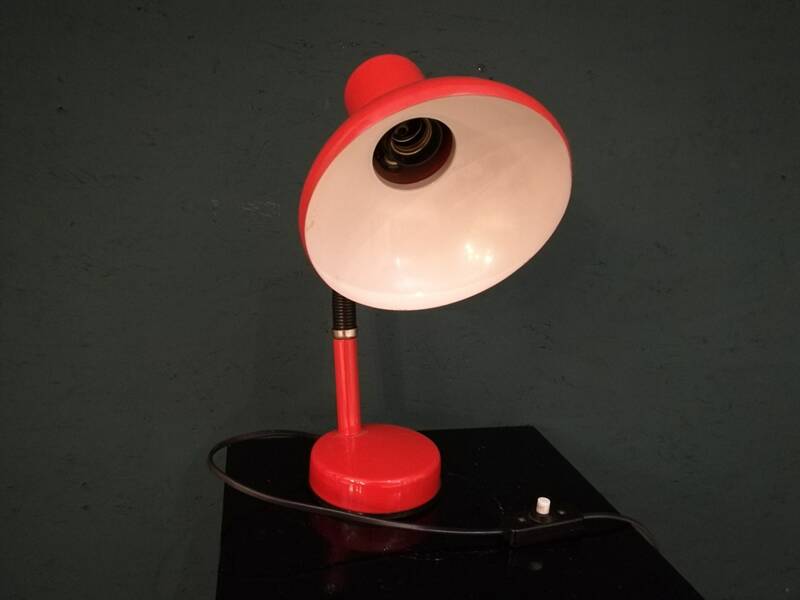 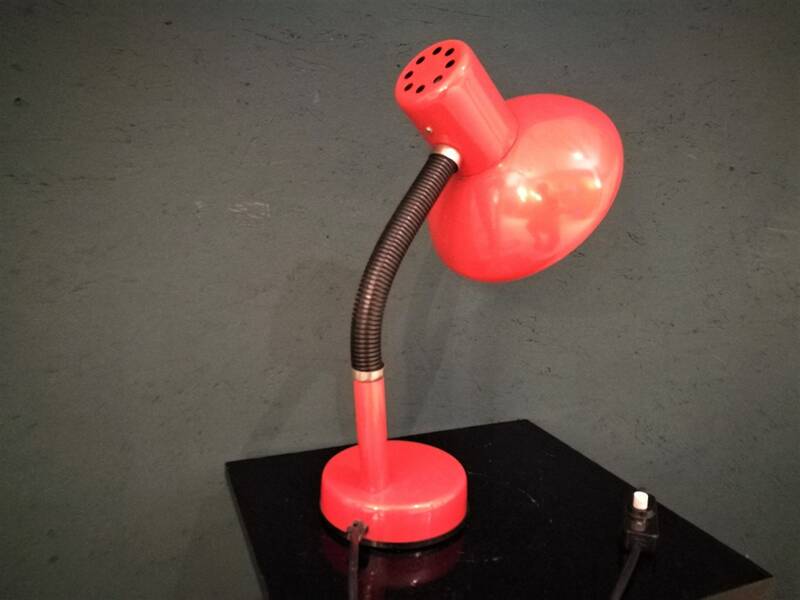 The lamp has a bit of damage where the cord goes into the lamp (only the plastic part, see picture), but is in otherwise great vintage condition.